The shipping market has faced significant financial challenges in recent years. This has resulted in the restructuring or liquidation of many shipping companies. In these circumstances, enforcement of claims against shipowners is an ever-present concern. A key weapon for enforcement of shipping claims is to arrest a ship and, thereby, to obtain security. The ability to arrest a ship depends on whether the claimant can establish Admiralty jurisdiction and commence an action in rem against a ship. 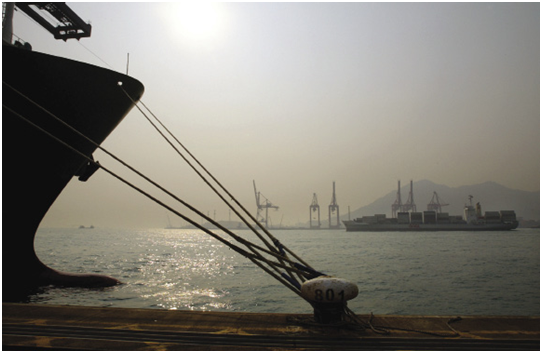 Hong Kong continues to be an important jurisdiction for ship arrest, because of the volume of trade through its ports and its common law system. Recently, the Court of Appeal has handed down a number of significant decisions regarding the circumstances in which Admiralty jurisdiction is established, and a ship can be arrested, in Hong Kong. This article will review the Court of Appeal’s decisions. In order to arrest a ship in Hong Kong, the plaintiff’s claim must satisfy the requirements of ss. 12A and 12B, High Court Ordinance (Cap. 4) (“HCO“). Section 12A specifies the categories of claim that are within the Court’s Admiralty jurisdiction. The relevant categories include (i) claims to the ownership or possession of a ship, (ii) claims arising out of an agreement for the use or hire of a ship, and (iii) claims in respect of goods or materials supplied to a ship. If the plaintiff’s claim does not fit within the relevant categories, then the plaintiff cannot issue an action in rem against the ship and arrest it. (ii) any other ship, of which, at the time when the action is brought, the relevant person is the beneficial owner as respects all shares in it. In The Decurion (No. 2)  2 HKLRD 930, the Court of Appeal held that each of the plaintiff’s claims in an action in rem must fall within the Court’s Admiralty jurisdiction. 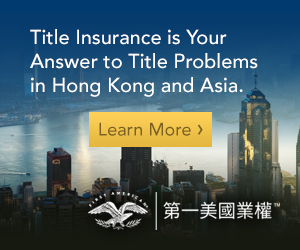 Therefore, the plaintiff must assess whether (i) each claim falls within s.12A; and (ii) Admiralty jurisdiction may be exercised pursuant to s. 12B with respect to each claim. If that was not the case, it would mean that the plaintiff could simply “piggyback” speculative claims onto claims within the Court’s Admiralty jurisdiction and, therefore, seek to invoke the exercise of jurisdiction in respect of the whole, larger, claim. The Court of Appeal concluded that a challenge to the Court’s Admiralty jurisdiction is not required to be an all or nothing challenge, but can relate to discrete parts of the plaintiff’s claim. In The Ruby Star  1 HKLRD 543, a ship manager issued an action in rem against the vessel for non-payment of debts due under a ship management agreement. Some of the items comprising the outstanding debts were within the scope of the Court’s Admiralty jurisdiction under s. 12A, while other items were not. Prior to commencing the action in rem, the ship manager had received sums in respect of the vessel, which it intended to set off against part of the outstanding debt. However, when the writ was issued, the ship manager had not attributed these sums to payment of particular items of the outstanding debt. According to the Court of Appeal, at the time of commencement of the action, the ship manager’s claims were simply debts from which it was impossible to tell whether they constituted in rem claims. The ship manager only appropriated the sums received to the non-in rem claims when it served its Further and Better Particulars of Statement of Claim in the Hong Kong action. The Court of Appeal held that the ship manager’s claim was not within the Court’s Admiralty jurisdiction. Although the plaintiff had appropriated sums received toward payment of the non-in rem claims (thereby leaving the in rem claims due and payable), this occurred too late. The Court of Appeal said that “the Admiralty jurisdiction must exist at the time of the commencement of the action, namely, by the issuance of the Writ”. The Ruby Star prevents a plaintiff from commencing an action, and arresting a ship, before Admiralty jurisdiction is clearly established. Unlike in The Decurion, it was not possible for the Court of Appeal in The Ruby Star to identify which part of the plaintiff’s claim was within the Court’s Admiralty jurisdiction and which part was not. Accordingly, the entire claim fell outside the Court’s Admiralty jurisdiction. In The Almojil 61  3 HKLRD 598, the plaintiff commenced an action in rem and arrested the ship for claims arising under various charterparties. A dispute arose concerning the ownership of the ship pursuant to s. 12B(4)(ii) HCO (allowing for sister ship arrest). In particular, the question which arose was whether the registered owner was also the beneficial owner of the ship as respects all shares in it. If not, then the Court did not have Admiralty jurisdiction with respect to arrest of the sister ship. In The Almojil 61, a third party argued that it had contributed part of the purchase price for the ship and claimed to be a part beneficial owner. The third party filed an acknowledgment of service in the action in rem and disputed the Court’s Admiralty jurisdiction. However, the Court of Appeal concluded that the third party loaned the funds to the registered owner, rather than becoming a part beneficial owner of the ship. Accordingly, the challenge to jurisdiction failed. Nonetheless, the Court of Appeal went on to consider whether, in the absence of fraud or other similar compelling circumstances, the Court may go behind ship registration and conclude that the registered owner was not the beneficial owner of the ship as respects all shares in it, pursuant to s. 12B(4) HCO. At First Instance, it was held that the Court may not do so. The Court of Appeal disagreed, concluding that registered ownership is not conclusive. The Court was entitled to consider whether the registered owner held the shares in the ship (or part of the shares) on trust for another party. If such a trust existed, then the requirements of s. 12B(4)(i) or (ii) were not satisfied. 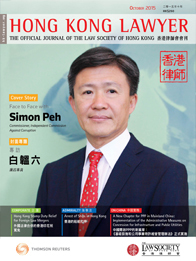 As a result of the Court of Appeal’s decision in The Almojil 61, there is greater scope for disputes regarding whether a particular ship (including a sister ship) may be arrested in Hong Kong. Although the arresting party will usually be able to search the relevant ship register in order to identify the registered ownership of a ship, the existence of any trust may not be publicly accessible information. Indeed, notice of a trust, express, implied or constructive, cannot be entered in the Hong Kong Shipping Register: s. 52, Merchant Shipping (Registration) Ordinance (Cap. 415). Following The Almojil 61, it is possible that a registered owner of a ship may seek to prevent arrest in Hong Kong, by declaring a trust with respect to particular shares in the ship. 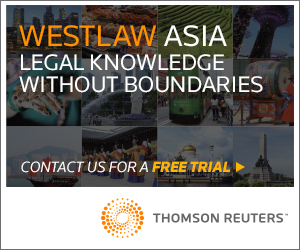 The High Court does not have Admiralty jurisdiction in relation to claims for enforcement of an arbitral award: The Chong Bong  HKEC 505. This is because a claim for enforcement does not fall within any of the categories of claim in s. 12A. In the recent case of The Alas  HKEC 1350, the plaintiff had already obtained an arbitral award against the defendant shipowners for breach of a charterparty. However, the Court of Appeal (in refusing leave to appeal against the Admiralty Judge’s decision) held that Admiralty jurisdiction existed and refused to set aside the arrest of the ship. The explanation is as follows. The plaintiff’s claim in the action in rem was for unpaid hire under a charterparty, rather than for enforcement of the arbitral award against the defendant shipowners. Therefore, the plaintiff’s claim was in substance and form a claim arising out of an agreement relating to the use or hire of a ship (s. 12A(2)(h)), within the Court’s Admiralty jurisdiction. Accordingly, it did not matter that the plaintiff had already obtained an arbitral award in personam against the defendant shipowner. This decision will come as a relief to claimants who obtain arbitral awards against shipowners, but are experiencing difficulties in enforcement. Each claim in an action in rem must be within the Court’s Admiralty jurisdiction. The Court’s Admiralty jurisdiction must be established at the commencement of the action. The jurisdiction cannot be supplemented at a later date. In order to arrest the ship, the defendant shipowner must be the beneficial owner of all shares in the ship at the time of commencement of the action. If the defendant shipowner holds part or all of the shares on trust for a third party, then it appears that the ship cannot be arrested. 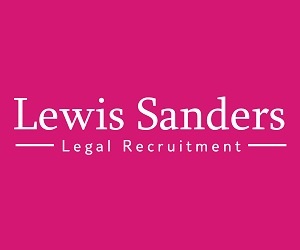 A claimant may be entitled to arrest a ship to obtain security for its claim, even if it has already obtained an arbitral award, provided that the writ and arrest papers are carefully drafted.